The world’s most influential nutritionist is waging a war against unhealthy eating, obesity, and, every once in a while, his fellow researchers. SLENDER CELEBRITY CHEF RICK BAYLESS, the goateed enchilada evangelist who has transformed Mexican street food into fine dining, stands at the back of the Regattabar, near the full-length windows overlooking Harvard Square. Several people encircle him, straining to hear his voice over the din of the cocktail party, which caps the first day of a major food-industry conference being held here. To the average foodie dropping in on this June evening, Bayless would be the biggest name in the room. He’s got his long-running PBS cooking show, a win on Top Chef Masters, and the standing that comes from owning one of the Obamas’ favorite restaurants in Chicago. But the savviest industry insiders — the power players here from multinational giants like Unilever and McDonald’s — know there is a far more important get: a soft-spoken Harvard professor named Walter Willett. As Willett enters the room, carrying a red bike helmet, with a rumpled sport coat hanging off his 6-foot-2 frame, he doesn’t much look like a celebrity. The 68-year-old presents more like a reserved Congregationalist minister, albeit one with David Crosby’s untamed mustache. But no one here needs to read Willett’s name tag to recognize him or to Google his CV to appreciate the outsize role he plays in matters of the American diet. Looking for a place to stow his bulging backpack, he’s buttonholed by a voluble pistachio salesman, one no doubt grateful for Willett’s many pronouncements on the health benefits of nuts. As the salesman launches into a broadside against the US Food and Drug Administration, Willett deftly extricates himself and heads over to a table staffed by representatives of Chobani Greek yogurt. Before he can taste his rockfish with yogurt mousse, a silver-haired guy is vying for his attention. Willett, whose latest research has found a strong association between red meat and diabetes, pauses to slurp his mousse. A better goal would be to cut out red meat entirely, he says. “Getting rid of beef altogether — that would be good,” Willett says, pivoting to follow the scent of garlic wafting from Unilever’s table. Goody, the senior director of nutrition for the 14,000 US outlets, appears taken aback. “We tried it,” she says tentatively. Stressing that the failed attempt was before her time, Goody says she and her colleagues have done some experimenting with veggie burgers, but they’ve had trouble keeping the sodium levels in check. Goody tries a different tack, boasting that McDonald’s has reduced the sugar in its Happy Meal chocolate milks to 10 grams. “Added sugar or total?” Willett asks. Willett is the grandson of a dairy farmer. But the $140 billion dairy industry is just one of the many powerful interests that he has taken on during his nearly four decades as a researcher. Even if most Americans wouldn’t know him, it’s no mystery why Willett is so sought after at “This Menus of Change” conference cosponsored by The Culinary Institute of America and the Harvard School of Public Health. 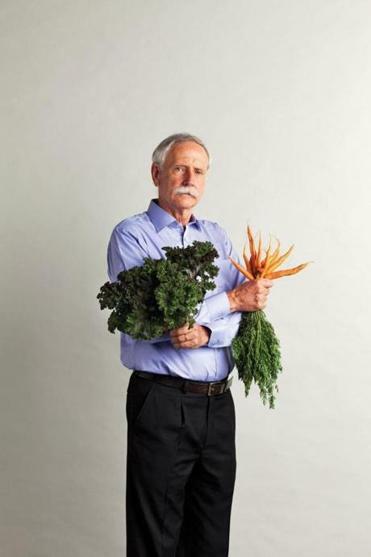 Not only is he the chair of Harvard’s nutrition department, he is also the single-most-cited nutritionist in the world. Broaden your view to all disciplines of clinical medicine, and Willet is still in the top five. In the world of eggheads, he’s Dr. Oz. Willett can be just as powerful when he opposes something. Although he is Midwestern polite and never seems to raise his voice, he does speak in a professorial manner that suggests he is very used to being listened to. And when the tenets of his public health worldview are challenged, he can be surprisingly sharp-elbowed. All of which lately has thrust him into controversy. ON A TYPICAL NEW YEAR’S DAY, the news cycle is slow. But in 2013 it brought the surprising results of a study on obesity, generating headlines like this one from USA Today: “A Few Extra Pounds May Cut Risk of Early Death.” The study, which found that moderately overweight people had a 6 percent lower mortality rate than those of ideal weight, wasn’t funded by some dodgy research front for the fast-food industry. The meta-analysis of 97 previous studies, comprising data from nearly 3 million people, was produced by the Centers for Disease Control and Prevention and appeared in the pages of The Journal of the American Medical Association. The following month, Willett convened an unusual symposium at Harvard held expressly to discredit Flegal’s study. He even invited Flegal herself to attend. She declined. (“If someone has said your work is rubbish and no one should waste their time reading it, and they’re having a symposium to attack it,” she says, “it didn’t seem like that was something I’d like to go to.”) Willett half considered leaving an empty chair for her on the dais, borrowing the maneuver politicians use to embarrass opponents who refuse to debate. Willett claims that Flegal clearly has a point of view on this issue. After all, she published a paper in 2005 that reached the same conclusion about the protective powers of a few extra pounds. And he argues that she did a good deal of shaping this time through her decisions about which studies to keep in and which to leave out. Among those excluded was a 2010 study Willett worked on with the National Cancer Institute that clearly found lower life expectancy for overweight and obese people. For the rest of us civilians, people hungry for a little clear advice, food fights like this one often lead to will-you-make-up-your-minds-already exasperation. If scientists from Harvard and the CDC can’t decide on something as basic as whether being overweight will kill you sooner or later, who are we supposed to believe? And while we wait for the answer, many of us figure we might as well change our order from a side salad to a large fry. Willett says it’s understandable that people would feel confused about nutrition. Some findings prompt legitimately contradictory impulses: moderate alcohol consumption is associated with lower risk of cardiovascular disease but higher risk of breast cancer in women. Some are reported in a way that emphasizes surprise at the expense of the full story. A recent Institute of Medicine report, for example, found no evidence to support reducing daily sodium consumption to 1,500 milligrams, a point then trumpeted in some news reports as “don’t worry about lowering your sodium.” Yet the study did acknowledge that the average American still uses way too much salt. If Willett looks like a Congregationalist minister, he often sounds the moralistic themes of the abolitionist preachers. Like them, he believes the consequences of inaction are unforgivably high. Americans are getting fatter dangerously fast. An obesity rate that was about 13 percent a half-century ago is now 36 percent and climbing, a surge that is bringing runaway rates of diabetes and other maladies. When Willett sees the CDC study on obesity, his mind flashes to the picture of what he is sure this confusion will lead to: patients packing on more weight while their doctors become less willing to broach the subject. People will get fatter, die sooner, and all the medical bills could cripple the health care system. Willett feels he has no choice but to go on the attack. “It’s important to push back strongly against the promotion of ideas and analyses that are based on faulty data,” he says. In May, the respected scientific journal Nature called Willett out, saying he was pushing back too hard and giving him a rare slap on the wrist for his neck-wringing of Flegal. It editorialized that scientists must avoid the temptation to oversimplify, offering black-and-white pronouncements like his “rubbish” comment, based on the fear that more nuanced messages might confuse people into inaction. Gray, the journal said, is often the color of science. Yet Willett, who presides over decades worth of data on more than a quarter of a million people, sees patterns that make him feel he can’t wait around for things to get sorted out. In that way, he sometimes calls to mind the scientist character from one of those disaster movies. The guy who looks up from his data to offer urgent warnings of doom, only to see them ignored until just before the asteroid hits. This meeting is an update for the Health Professionals Follow-Up Study, one of the three so-called prospective cohort studies that Willett and his team have been running for decades. The data, collected from nearly 300,000 people, are the foundation on which just about all of Willett’s pronouncements about diet have been built. This study started following more than 50,000 male dentists, veterinarians, pharmacists, and the like in 1986. (About 19,000 of them have died by now, prompting Willett’s colleague Eric Rimm to crack, “It’s a morbid business.”) But it’s not even the biggest study. That honor goes to the Nurses’ Health Study, which began following more than 121,000 female nurses in 1976 and added 116,000 in 1989. Every two years, the participants in each of Willett’s studies are sent questionnaires asking them about their health, drinking, and smoking habits — with detailed dietary questions coming every four years. This rich corpus of data gives Willett uncommon insight. The idea behind cohort studies is that all the participants have something in common, which allows researchers to test hypotheses about how they might be different, such as whether the nurses who eat high-fiber diets have lower rates of colon cancer than nurses who don’t. During today’s meeting, one researcher reports that the data show people who drank more coffee lowered, quite markedly, their risk of developing Type 2 diabetes. After the meeting breaks up, Willett and Rimm tell me they’ve found java to be pretty much uniformly associated with reduced risk of lots of bad stuff. The most dramatic, Willett says, was the finding that women who drank two to three cups of coffee a day had a 60 percent lower rate of suicide than those who drank none. When I ask Willett why he’s not out there recommending that everyone drink several cups a day, he says it’s only because some people will become jittery or suffer insomnia. Willett’s curiosity about disease, and how it might be prevented, dates to a particularly traumatic period in his own life. When he was 13, his father — a reproduction physiologist who worked to improve dairy production from cows like those his family raised in Michigan — died of brain cancer. As the oldest of the four children, Willett had to grow up fast. He began planting vegetables on a neighbor’s farm, later selling them to cover his college tuition. Walter and Gail moved to Boston, where he did his residency in internal medicine and began his studies at the Harvard School of Public Health. After marrying, they moved to Tanzania, where he taught medical school for three years. Back in Boston, Willett joined the Nurses’ Health Study in 1977, its second year. It had actually begun as a study of the long-term implications of oral contraceptives. But Willett, who had shifted his focus from internal medicine to nutrition and epidemiology, succeeded in expanding the nurses’ study to match his own interests. He began collaborating with colleagues of Greek, Italian, and Spanish heritage, who exposed him to the flavors of Mediterranean cuisine. In time, he noticed that the people in his cohort studies who were eating the oils, whole grains, and fresh fruits and vegetables that were staples of the Mediterranean diet were faring better. By the early 1990s, he’d seen enough. As many Americans were racing to replace fat with lots of pasta and SnackWell’s cookies, Willett encouraged his family to go the other way, eating lots of “healthy fat” oils, nuts, and avocados, and very little red meat or sugar. AT THE OFFICE, Willett and his team continued to mine their enormous data sets, publishing hundreds of papers with all sorts of insights about healthy living. Over time, his ideas took hold. Willett has been particularly influential in a war on trans fats that he began waging in earnest in the early 1990s. We now consume about three-quarters less of them than we did just a decade ago. Willett also effectively campaigned to discredit the US Department of Agriculture’s familiar food pyramid, exposing how agribusiness lobbying, not scientific data, drove its design. He produced an alternative food pyramid, then promptly sent his version off to the USDA, as if to show the agency how it was done. “It’s hard to think of a nutritionist in the country who has more influence,” says Gary Taubes, a best-selling science author who has written extensively about the ills of refined carbohydrates. He says the kinds of studies Willett does have been instrumental in helping to identify risk factors for disease: how high blood pressure is associated with heart disease, how the low breast cancer rates among women in Japan rise dramatically within two generations of their moving to the United States, and how obesity is associated with a host of chronic diseases. But as Willett’s influence has grown, so has criticism of the very nature of his research. That’s because large cohort, or “observational,” studies can show associations and correlations, but never causation. The nurses’ study can suggest that people who took folic acid had a lower risk of colon cancer, but that doesn’t prove folic acid — and not something else — actually reduced the risk. Taubes, who recently cofounded the nonprofit Nutrition Science Initiative for research, stresses that observational studies are equipped only to generate hypotheses. To prove them, scientists have to turn to a randomized controlled trial. In these, participants are randomly assigned into either an intervention group, which gets the treatment or special diet, or a control group, which gets a placebo or a standard diet. Taubes points to a 2013 review of nearly 300 scientific papers. In more than half of them, the authors gave some kind of medical advice based on their observational studies. Yet only 14 percent of those papers called for randomized trials to validate the recommendations. That, Taubes argues, is a function of the blinders you don’t even realize you’re wearing when you’re so convinced that your study can give you the right answers. The most dramatic example, he says, is hormone replacement therapy. The recommendation that post-menopausal women take HRT to guard against heart attacks, which was based on findings from the nurses’ study, was scrapped when trials concluded that the therapy actually increased the risk of heart disease, stroke, and breast cancer for some women. Manson works both sides of the research fence, as an investigator on the nurses’ study and as someone also heavily involved in randomized trials. In between sips of her soup, she rattles off a half-dozen cases in which scientists reported promising findings based on observational studies (not necessarily Willett’s), but then the randomized trials found no benefit and even some elevated risks. Beta carotene was once thought to lower the risk of cancer and cardiovascular disease, but beta carotene supplements increased the risk of lung cancer in smokers in the trials. Vitamin E, a supplement many in the medical field were themselves taking 20 years ago, was linked to increased risk of hemorrhagic stroke in one trial and increased risk of prostate cancer in another. Manson calls Willett “critically important — a pioneer in the field.” She says the fact that some of the trials she has been involved in have cast doubt on some of the findings from Willett’s studies doesn’t diminish the value of his contributions. “Our appreciation of the role of diet has really increased because of the research Walter has done,” she says. 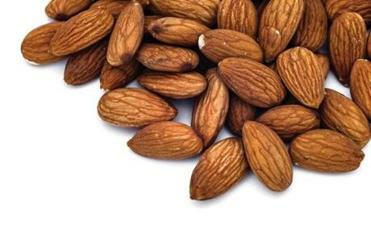 For his part, Willet insists many of the findings from his studies have been supported in trials, such as the reduced risk of colorectal cancer with aspirin use and the lower risk of cardiovascular disease and Type 2 diabetes with — wait for it — nut consumption. A few years ago, Gardner ran a National Institutes of Health-funded study on garlic. Because he must test a specific hypothesis, lest he be accused of going on a fishing expedition, he asked whether one clove per day helped lower cholesterol in people with moderately elevated levels. Six months and $1.4 million later, he found no effect. “I couldn’t even answer: Is garlic good for you?” he says. WILLETT STANDS AT THE STOVE in his kitchen, stirring a tomato-and-red pepper sauce. “Let me turn this up just a little bit here,” he says, bending to adjust the gas dial. I had heard him boast so often about his wife’s alternative cooking that I felt entitled to invite myself over for a taste test. Gail Willett had prepared her version of meat loaf, the one her husband had raved about. It had lentils and walnuts standing in for the beef. She had sauteed a red pepper-and-tomato sauce to go on top, leaving Willett to give it a few final stirs while she stepped out to run an errand. A former nurse and bookstore owner, Gail now teaches private cooking classes in their handsome but unpretentious Cambridge Victorian. She helps home cooks with the task she’s been handling for a couple of decades now: revamping meals to match the knowledge coming out of Willett’s studies. I assure her he had been completely honest with me about his limits in the kitchen, but there’s no denying that the man eats what he preaches. Incredibly, Willett insists he doesn’t long for anything from his old diet — including his wife’s homemade desserts. They “are now too sweet for my taste,” he says. And her husband really can’t complain too much. Even he might agree that if you’re generally mindful about what you eat and how active you are, a few indulgences won’t hurt you, especially if they help keep you on the right path. As for Gail’s lentil-and-nut loaf, here are the results of my non-randomized, noncontrolled trial of one: Walter Willett knows what he’s talking about. It’s damn good.